Unreality SF recently posted an interview with S.D. 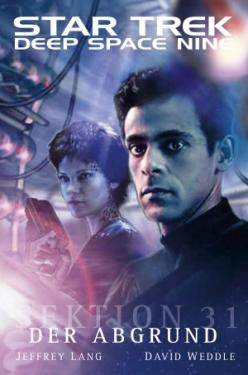 Perry and Britta Dennison, which included this description for Dennison's mirror universe novella in Seven Deadly Sins, the latest anthology which should be appearing right about now: "It surrounds the marriage of Ben and Jennifer Sisko, and the impact of Ben’s association with the Intendant of Terok Nor, among others. I wanted to give this story a really dark feel, almost noir-ish, and I feel like that ultimately came through very well." The interview also discusses the writing duo's other works, and sheds some light on how they collaborate, well worth a read. Simon and Schuster's website has also been updated recently. The new Starfleet Academy series now has listing for simultaneous releases in tradepaperback, ebook and hardcover for the series. They now list the title of the next New Frontier book as Blind Man's Bluff. And the random Death in Winter reprint coming at the end of the year has now become a trade paperback! 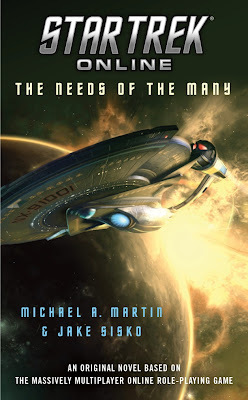 TrekMovie has posted an excerpt from the Star Trek Online novel, The Needs of the Many. A chapter, which itself it comprised of three reports building on the Undine.